Deuter Backpacks. …. reliable, tough and value for your money!!! I’m not paid by Deuter to do this. I just want to share my experience with Deuter packs in my 12 year career as an outdoor buff and mountaineer. My first Deuter Backpack was a Futura 22. Great pack and I used it heavily on training sessions. I really loved the Aircontact Technology which provided enough ventilation for my back. The price was a bit high but it was value for my money. I passed the pack to my brother after using it for 3 years. No damages whatsoever. My second Deuter Backpack was a Futura 28. Yep another Futura. I wanted a bigger pack and I looked at a lot of other branded packs but they failed to impress me. 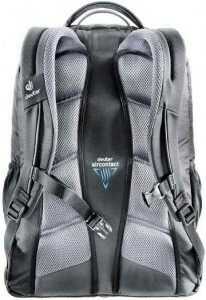 Some packs were priced too high and they did not even provide the features Deuter had. I used this pack in a lot of my climbs and it never failed me. I had to sell it because I needed a bigger pack for my increasing inventory of outdoor gears. My third Deuter Backpack and my current hiking backpack is a Futura 32. Finally a pack that meets all my requirements. I can fit anything I need for a multi-day trek. (Please note that all my gears are lightweight). I don’t plan on replacing it yet in the near future. My fifth Deuter Backpack and my current favorite all rounder pack is the DEUTER GRANT!!! 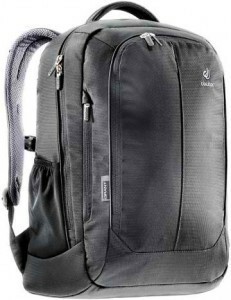 It has enough storage space for all my electronics and day hike gears. I love it and it’s my daily office pack. I can testify to Deuter quality. You will never go wrong with a Deuter!!! This entry was tagged backpack. Bookmark the permalink.